Lucifer is worried when he realizes that recipients of his favors start to turn up dead. Meanwhile, Detective Pierce returns to work, Charlotte starts a new career, Maze is back in town, and Dr. Linda and Amenadiel have an interesting session. 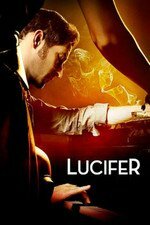 Den of Geek - Lucifer finally puts a face to the name as a mysterious criminal mastermind finally reveals himself. So EIGHT EPISODES LATER we finallllllllly meet the Sinnerman. After several draggy episodes we finally have a whole bunch of things shoved into one. Charlotte is now with the DA's office. Chloe has the hots of the lieutenant. Dr Linda and Amenadiel are getting on, but Linda is lying to Maze to protect her feelings. I mean the Sinnerman is almost an after thought and that's what he really feels like. He was talked up a lot in the first episode and then forgotten largely and now he's just one of a bunch of plotlines. The Charlotte and Linda plotlines, at least, have been building through the season. I'm a bit confused why Ella would be embarrassed about suggesting Charlotte join the DA's office. I mean Chloe has worked with Charlotte before when she was a defense attorney (Shloe doesn't realize that she was someone else). So it seems weird they would balk at it now. Really? So by showing us that Lucifer can't get to Sinnerman's desires because he gouged out his own eyes what is that saying about Lucifer's power? He can't put the whammy on any blind person? That's a pretty big loophole, isn't it? It does seem to be a big waste of a character unless they plan to use him in future episodes as a Hannibal Lecter type, where the dramatic tension is trying to solve crimes he has previously set up to play out. I'm going to go out on a limb here and declare that Lt. Superman is actually Sinnerman. I just get the vibe that there is far more to him than meets the eye and it's not just something as vapid as crushing on Chloe or whatever that is. Half-baked theory: Sinnerman killed the Lt.'s brother because that was the favor the Lt. wanted from the Sinnerman (he hated his brother or something), and they've been in cahoots ever since.